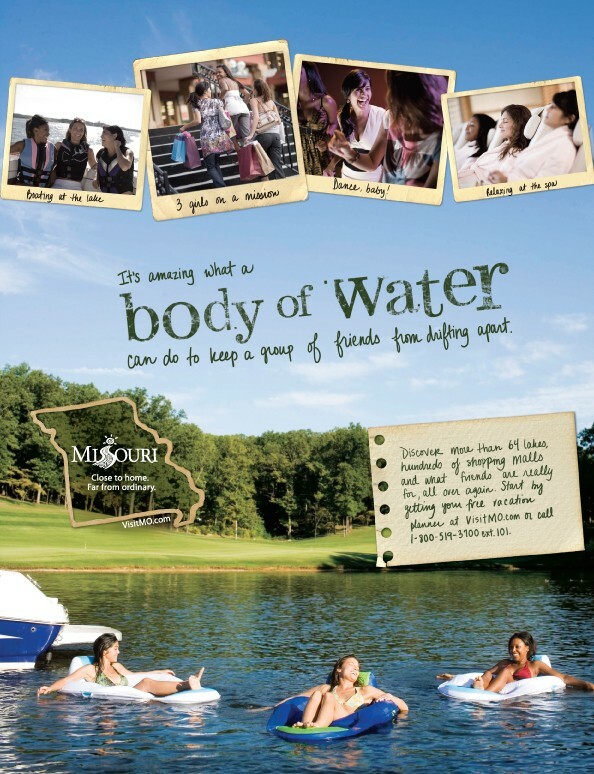 Perhaps inspired by The Sisterhood of the Traveling Pants, Hoffman|Lewis sent us this creative for the Missouri Division of Tourism. 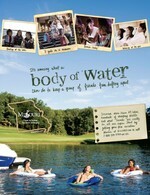 Cheesy tag: "It's amazing what a body of water can do to keep a group of friends from drifting apart." Alternatively: "It's feeding time for the Fishpersons!" I've seen this campaign. Feels very mundane. I understand Missouri isn't Vegas or NYC, but even if you're trying to be "homey and heartwarming" you can still try to be more emotionally impactful than this. also, the "line of polaroids" art direction technique has been done about 500,000 times in tourism ads. But there are hundreds of shopping malls � HUNDREDS! They'll have even more to yack about after they've charged HUNDREDS of dollars to their student Master Cards, spiked at a 46.75% interest rate. There's Nothing Like a Body of Water to Drown All Your Hopes and Dreams. Welcome to Missouri.